* Charles G. Finney, the most important evangelist in the opening half of the nineteenth century, marks a turning point in the history of American revivalism...Finney revolted against Old School of Calvinism...because, like Lyman Beecher and many others, he felt that it cut the nerve of human effort -- denying man's ability, and therefore his responsibility to turn onto the Lord... He popularized...the 'protracted meeting' and was responsible for the widespread use of the anxious seat. He prayed for conversion of sinners by name and allowed women to pray as freely as men. * Moody, who followed in (Finney's) footsteps, inaugurated evangelistic campaigns, in which the Churches of a city would unite in a series of meetings to win men to Christ. * It was the business genius of B. Fay Mills, however, which more than anything else is responsible for the revivalism... His careful preparation, thorough organization, and high pressure methods gave it business efficiency and promoted mass conversion, which sometimes resembled mass production. Mills's disciple was J. Wilbur Chapman, and he in turn, passed the new system onto William A. Sunday, who brought it to its ultimate 'perfection'. * The great growth in knowledge through public education, the enormously increased facilities for communication, the very struggle and competition of modern life, especially in the great centers have developed in the average man an intelligence, a self-control, a power of rational inhibition, that makes him far less suggestible, less nervously unstable, less imitative, less liable to be swept away by great gusts of passion or emotion. He is in many respects less of a primitive and more of a highly civilized man, and over him the old revival method has correspondingly lost its power. 1. He was born on Feb. 5, 1837. 2, His father was a mason, who died when Moody was 4 years old, leaving his widow and nine children nothing but a little house encumbered with debt. 3. Moody grew up in an atmosphere of grinding poverty. 5. At the age of 17 he left home for Boston, secured a position in his uncle's shoe store, and won almost instant success as a salesman. 6. Two years later he went to Chicago. 7. By the time he reached the age 24 he had saved $7,000 and was making over $5,000 a year. He was well on his say to success when suddenly he gave up his position to devote himself entirely to religious work, with no assured compensation whatsoever. 1) First, to his Uncle Samuel, who made regular church attendance one of the conditions for holding his position (as a shoe salesperson) at his shoe store. 2) Second, to Uncle Samuel's wife, Typhonia. On one occasion Moody said to her, "I like the pastor, Mr. Kimball, but the rich and pious folks at Mt. Vernon make me sick and tired." She replied, "Never mind, Dwight, the church is the bride of Christ." Moody then complained, "Is that Christianity?" She replied, "Lad, we are to fight the good fight of faith. Do you love the Church?" "Well, I guess I do," replied Moody. "Then forget the rest," she replied. 3) The third person responsible for his conversion was his Sunday school teacher, Mr. Kimball. Once he visited the store where Moody was working. He found Dwight in the back of the store, wrapping up shoes. As Mr. Kimball told the story later: "I went up to him at once, and putting my hand on his shoulder...told him of Christ's love for him, and the love Christ wanted in return, And Moody gave his heart to Jesus. Thereafter, as usual, Dwight went to Aunt Typhonia, with the burden on his heart. "Do you love Christ"? she asked. "Well I guess I do," was his response. "Then don't worry, lad, over how you talk," she replied. "Just try to tell the people what He has done for your soul, and He'll do the rest." 9. When he went to Chicago he joined a wealthy Church and rented a pew which he undertook to fill every Sunday with boys and young men from the boarding houses and off the streets. Before long he was filling four pews instead of one. 10. Very early in his own life Moody formed the resolution never to let a day go by without speaking to someone about Christ. "Are you a Christian?" he once asked a man just arriving in Chicago. "It is none of your business," was the reply. "But it is my business," was the answer. "Then," said the stranger, "you must be D. L. Moody." 11. Moody once said, "I was born of the flesh in 1837. I was born of the Spirit in 1856." 12. "If God has given you a message, go and give it to the people as [it is]. It is a stupid thing to try to be eloquent." 13. Moody believed in advertising his evangelistic meetings. 14. Moody was an old-fashioned premillennialist (not a modern dispensationalist.) He believed in the return of Christ at any moment. Some facts on Henry Ward Beecher as Earnest Trice Thomson describes him in his book "The Changing Emphasis in American Preaching". 1. John Beecher gave birth to David Beecher who gave birth to Lyman Beecher who gave birth to Henry Ward Beecher. 2. His grandfather David Beecher was a blacksmith. 3. His father Lyman Beecher was a minister. 4. His father Lyman Beecher opposed the idea of man's complete moral inability and helped to give the deathblow to the doctrine of infant damnation. He stressed instead man's freedom to respond to God's lawful requirements, the possibility therefore, and the duty of immediate repentance. 5. Again his father Lyman Beecher advocated the New School Theology...was firmly convinced that Old Calvinism, as he termed it, led to fatalism, obscure moral accountability, and made man unresponsive to the evangelical appeal. 6. Dr. [Joshua] Wilson, leading Old [Divinity School] in Cincinnati [who according to Henry Ward] as stiff a man, and as orthodox as Calvin himself, and as pugnacious as ten Calvins rolled into one, greeted Dr. [Lyman] Beecher with a charge of heresy. 7. According to Theodore Parker, Lyman Beecher was the father of more brains than any man in America.... Eleven of his thirteen children survived him. All seven sons entered the ministry, and most of them were distinguished. 8. 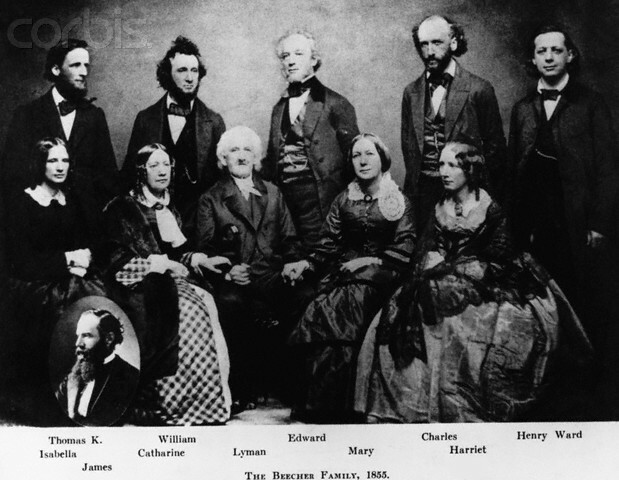 Henry ward, the seventh living child out of eight was born on June 24, 1813. 9. Henry lost his mother at the age of 3. 10. When he died, Henry had a library of ten thousand well and carefully selected volumes. 11. From the time when his soul was lifted up by these two great truths, God's nature as manifested by Jesus the Christ to love man in his sins for the sake of helping him out of them and the sustaining Christ ever present with individual man ('a real presence' of perennial spiritual influence), he sprang to his works, says John R, Howard, with an ardor that was unquenched to the end of his life. 12. [Henry Beecher] said, "I feel dissatisfied with that whole realm of theology, which I know call the machinery of all religion...I came to feel that it stood in the way of sinful men... If you want to know why I have been so fierce against theology, that is it; because I thought which Mary, and I said time and again, "They [theologians] have taken away my Lord, ad I know not where they have laid him." 13. 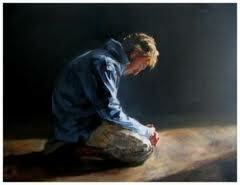 Henry Beecher (asked in his sermons more) "What is your life?" than "What do you believe?". 14. On November 10, 1879, The New York Times quoted him as saying, "If I thought God stood at the door where men go out of life ready to send them down to eternal punishment, my soul would cry out: 'Let there be no God!' My instinct would say, 'Annihilate him!'" 15. Fundamental doctrines he defined as those which are necessary for the conviction of sin, for conversion from sin, for development of faith, for dominant love of the Lord Jesus Christ, and for the building up of a Christlike character. 16. In Beecher's ministry there is plainly apparent a movement away from Calvinism, a growing distaste for creeds, an increasing dislike for 'theology,' an evident weariness with theological disputes, a breaking down of denominational barriers, a hospitality to new currents of thoughts (such as evolutionism), in general greater breath and catholicity. 17. There was, in brief, the beginning of a transition from Calvinism to a theology of evolutionism, from overemphasis on divine transcendence to overemphasis on divine immanence, from a theology interested too predominantly in God to a theology interested too predominantly in man, from an extreme view of total depravity to a delusive trust in man's inherent goodness. 18. [As a result of his influence] increasing numbers of men were convinced that Calvinism obscured or falsified the character of God as revealed in Jesus Christ. 19. Lyman Beecher mitigated the austerity of Calvin's God; Henry Ward Beecher and his brothers and sisters transformed Him into a God of love and service...They paved the way for their successors of today to develop their God of love and service into the ideal, which shall spread the dominion of justice and brotherhood until there shall be developed a Heaven on earth. 20 "The redeeming trait in Henry Ward Beecher's theology," commented Dr. Philip Schaff, "the crowning excellence of his character, the inspiration of his best words and deeds, was his simple childlike faith and burning love of Christ, whom he adored as the eternal Son of God, the friend of the poor, and the Savior of all men." In reading the Beatitude hope came to my heart. In today's daily bread Jesus says, "You are the salt of the earth." If salt loses saltiness what is the use of it? It will only be thrown away and trampled underfoot. I am not a salty person. I thought I have lost saltiness, so I am of no use. Then the question came to mind: what is saltiness? When did I lose saltiness? Is there any way to regain saltiness? Then as I searched further, in reading the preceding part of the beatitude I found the answer, that is, saltiness refers to the character traits of the blessed person described in Matthew 5. I colored the seven letters in the seven colors of rainbow. The poor in spirit refers to the hopeless, the have-nots, those who are lacking blessedness and therefore feel cursed. Because they are hopelessly poor, they start mourn, crying and weeping. Because they are helplessly hopeless they remain humble before God and before men. They are as hungry and thirsty as the poor, just like a prodigal son in a pig farm. And as they are found back home among the righteous, they are merciful. As they get washed by the Father who sent Jesus the redeemer, they are made pure in heart. And go out make peace because they have peace with God. Thank and praise be to our Lord Jesus who came to give hope to the hopeless. Thank and praise Him and give glory to His name, He who proclaimed on the blessed mountain the blessed hope for the hopeless. PMMRMPP - Poor man Mourning and wailing, Meekly walking into a temple, asking to Receive him back home, by showing Mercy on him, so he would be made Pure in heart, and live in Peace. Thus Thompson states, "To return to Horace Bushnell is impossible and, of course, not desirable. It was a hot day full of sunshine on the morning of March 7th, 2015, a typical day in Southern California. Guests began to arrive early around 10am though the wedding began at 11am. Troy Segale(the Groom) was handsomely dressed in a black suit and tie, calm and cool as usual, being pulled this way and that to greet various guests. Various members of the Los Angeles UBF were diligently decorating and putting the final touches on the gathering hall for the ceremony. The house was packed and the bride Sarah Hyemi Seo was running ten minutes late and the photographer seemed to be missing in action. Thankfully God provided, and many people including Missionary Phillip Lee brought many cameras to capture the important moments. Sarah, who was beautifully dressed in a white dress and long veil, arrived and Downey’s grand orchestra started the proceedings playing magnificently. Pastor John Kwon never seemed to miss a beat while officiating the service and spoke of both Troy and Sarah’s life testimonies, the meaning of their marriage, and their vows before God. Both the Bride and Groom seemed very happy and shared a passionate kiss once the marriage pact was sealed! The festivities continued as the hall was transformed into a dining area. Many photos were taken and a feast of various foods such as fish, beef, and Asian cuisine was served. The party continued with many blessings, speeches, and songs from the Waterloo UBF and LA UBF, parents of the bride and groom, Maid of Honor Sophie Cote and Best man Gregg Newmaster, and a final hilarious song medley from LA UBF’s Andrew Park. 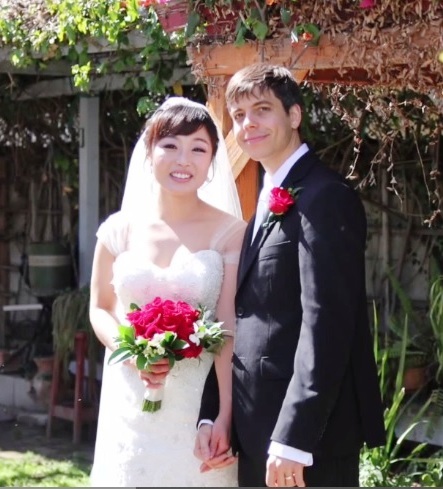 God was at the center of this wonderful wedding and all seemed to have a wonderful time. Praise the Lord Jesus Christ! 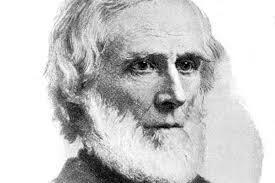 Horace Bushnell (April 14, 1802 – February 17, 1876) was an American Congregational clergyman and theologian. Bushnell was a Yankee born in the village of Bantam, township of Litchfield, Connecticut. He attended Yale College where he roomed with future magazinist Nathaniel Parker Willis. Willis credited Bushnell with teaching him the proper technique for sharpening a razor. After graduating in 1827, he was literary editor of the New York Journal of Commerce from 1828–1829, and in 1829 became a tutor at Yale. Here he initially studied law, but in 1831 he entered the theology department of Yale College. In May, 1833 Bushnell was ordained pastor of the North Congregational church in Hartford, Connecticut. He married Mary Apthorp in 1833 and the couple had three children. Bushnell remained in Hartford until 1859 when, due to extended poor health he resigned his pastorate. Thereafter he held no appointed office, but, until his death at Hartford in 1876, he was a prolific author and occasionally preached. Christian Nurture (1847), in which he virtually opposed revivalism and effectively turned the current of Christian thought toward the young ; Nature and the Supernatural (1858), in which he discussed miracles and endeavoured to lift the natural into the supernatural by emphasizing the supernatural nature of man; The Vicarious Sacrifice (1866), in which he contended for what has come to be known as the moral view of the atonement in distinction from the governmental and the penal or satisfaction theories; and God in Christ (1849) (with an introductory Dissertation on Language as related to Thought and Spirit), in which he expressed, it was charged, heretical views as to the Trinity, holding, among other things, that the Godhead is instrumentally three simply as related to our finite apprehension, and the communication of God's incommunicable nature. Attempts were made to bring him to trial, but they were unsuccessful, and in 1852 his church unanimously withdrew from the local consociation, thus removing any possibility of further action against him. To his critics Bushnell formally replied by writing Christ in Theology (1851), in which he employs the important argument that spiritual truth can be expressed only in approximate and poetical language, and concludes that an adequate dogmatic theology cannot exist. That he did not deny the divinity of Christ he proved in The Character of Jesus, forbidding his possible Classification within Men (1861). He also published Sermons for the New Life (1858); Christ and his Salvation (1864); Work and Play (1864); Moral Uses of Dark Things (1868); Women's Suffrage, the Reform against Nature (1869); Sermons on Living Subjects (1872); and Forgiveness and Law (1874). · God in Christ: Three Discourses Delivered at New Haven, Cambridge, & Andover (1849), University of Michigan Library, 2005, ISBN 1-4255-3727-8, 1876 edition: text online, includes a preliminary dissertation arguing that language is inadequate to express things of the spirit. · Andrew Jackson Davis, The Approaching Crisis: Being a Review of Dr. Bushnell's Course of Lectures, on the Bible, Nature, Religion, Skepticism, and the Supernatural (1870), Boston: W. White & Co., text online; a response to lectures by Bushnell during December 1851 and January 1852 on rationalism vs. supernaturalism. · This article incorporates text from a publication now in the public domain: Chisholm, Hugh, ed (1911). Encyclopædia Britannica (11th ed.). Cambridge University Press. 1. ^ Pattee, Fred Lewis. The First Century of American Literature: 1770–1870. New York: Cooper Square Publishers, 1966: 500. 2. ^ Lewis, R. W. B. The American Adam: Innocence, Tragedy, and Tradition in the Nineteenth Century. Chicago: The University of Chicago Press, 1955: 68. · This page was last modified on 15 July 2011 at 20:14. Hope for the Flowers - Read Book!